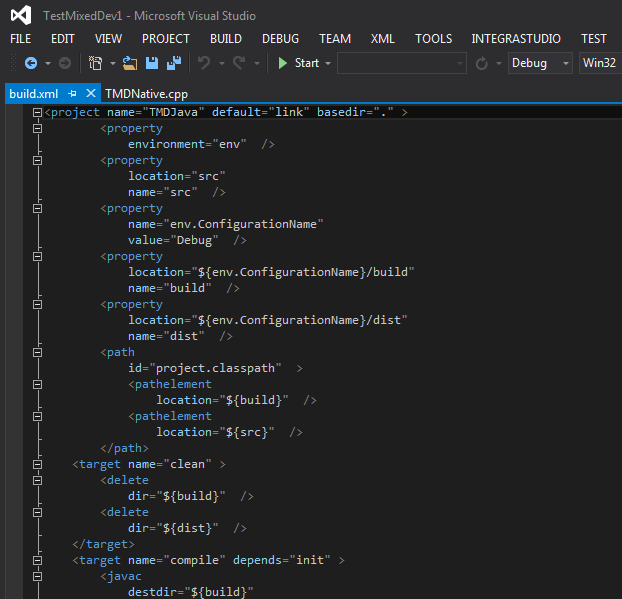 Visual Studio will open a XML editor, allowing to edit the file. When you save the file, IntegraStudio will detect the change and ask you whether to reload the project view in Solution Explorer. Answer Yes, unless you want to do more editing. Do not make simultaneous changes in Solution Explorer view when the project is not reloaded, as you will lose your changes made in the text editor.